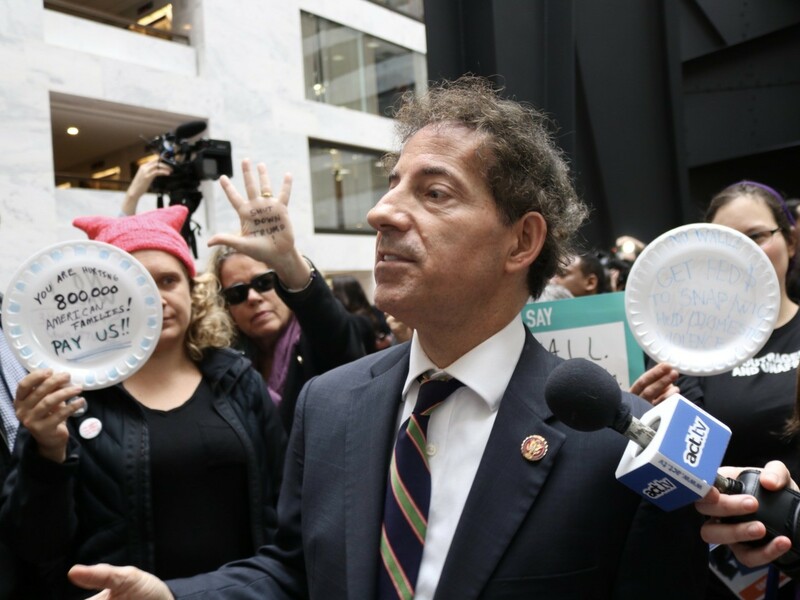 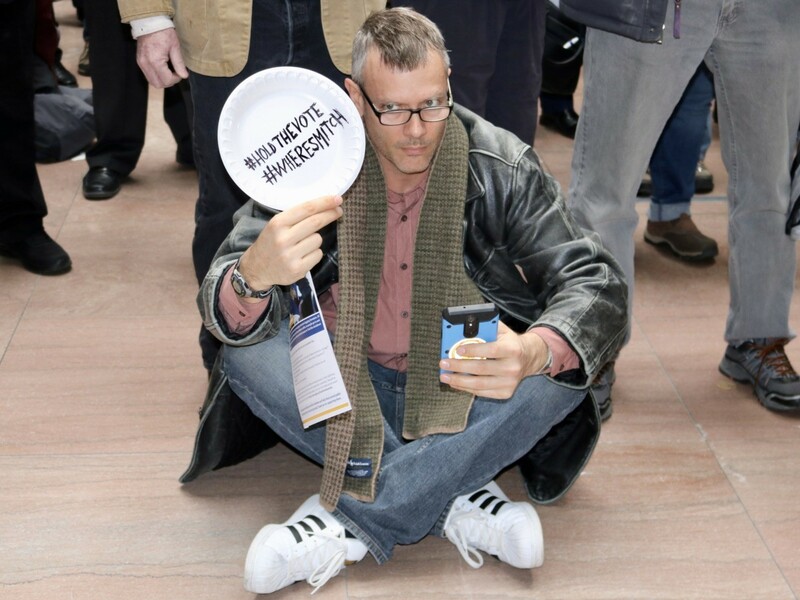 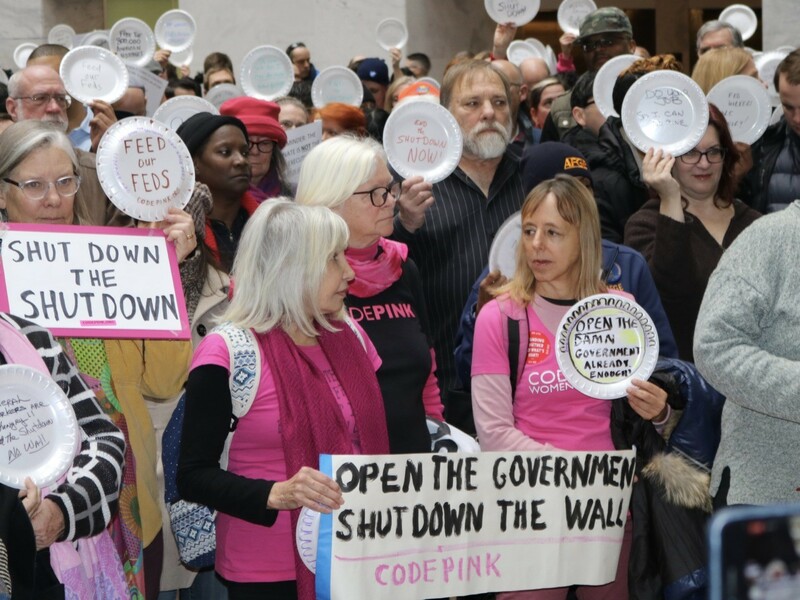 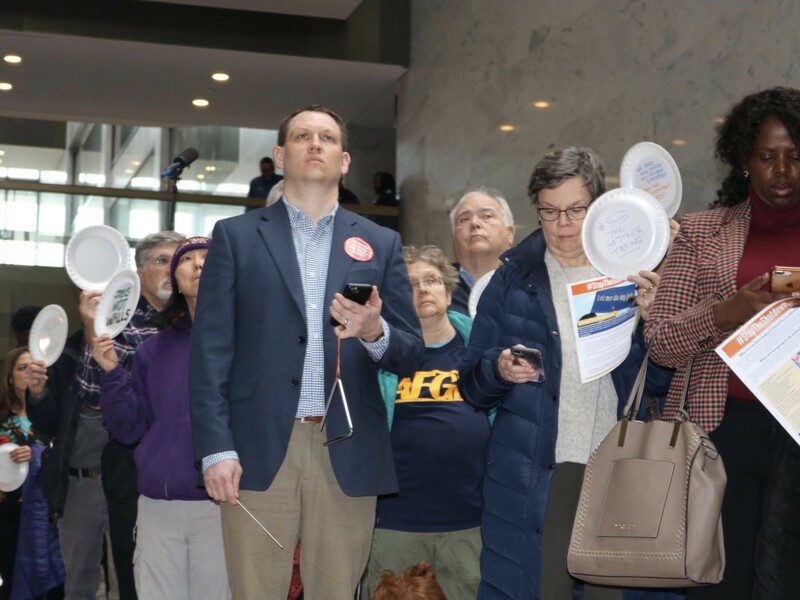 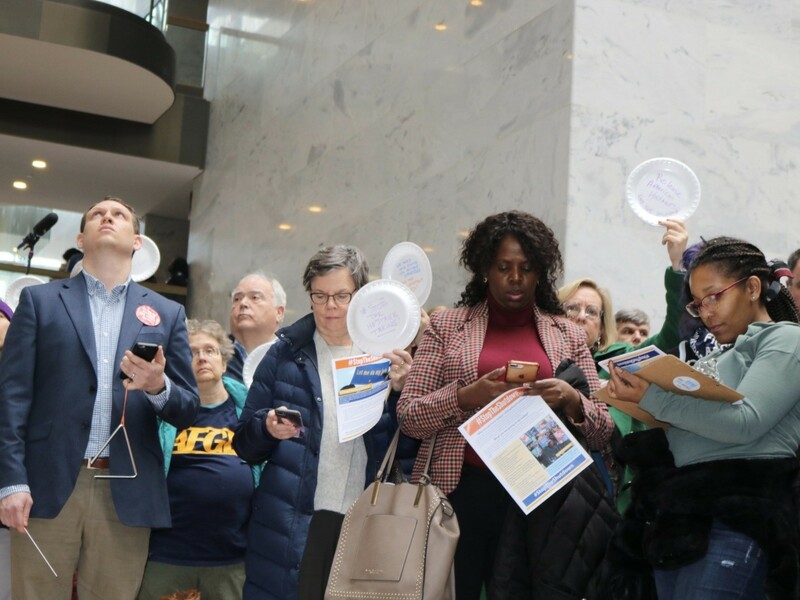 Unions, activists, and a sprinkling of furloughed federal workers protested silently initially before chanting at Congress in the Hart Senate building Wednesday afternoon. 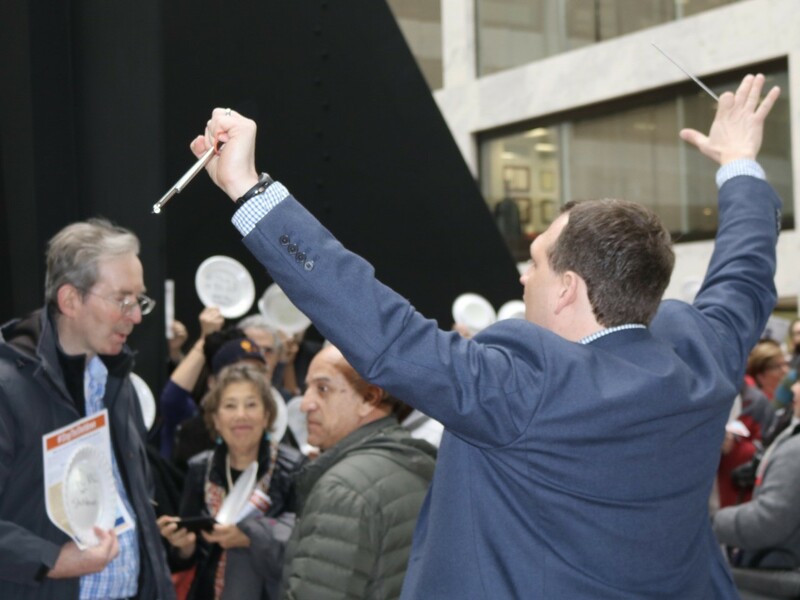 A chime-striking organizer gave directions to around 200 shutdown protesters in the atrium of the Hart Senate office building Wednesday. 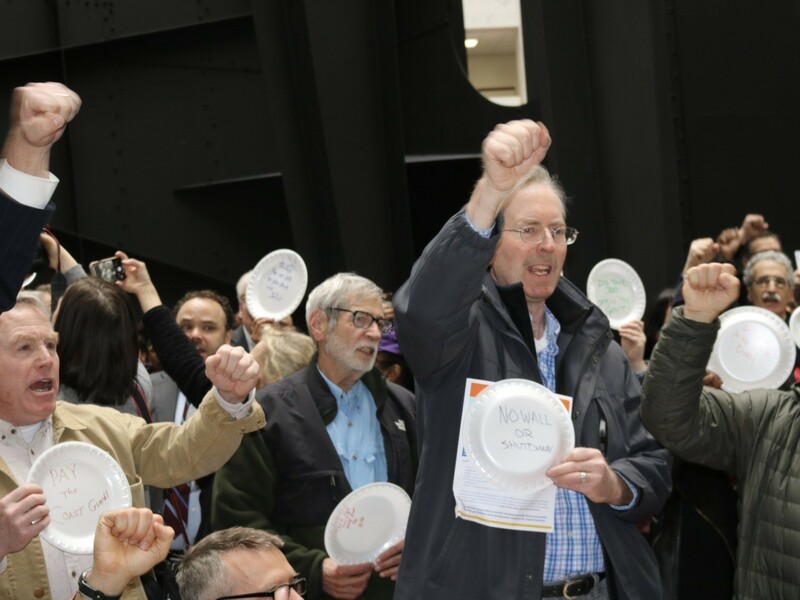 He directed the group in 33 minutes of silent protest before leading the group in coordinated chanting. 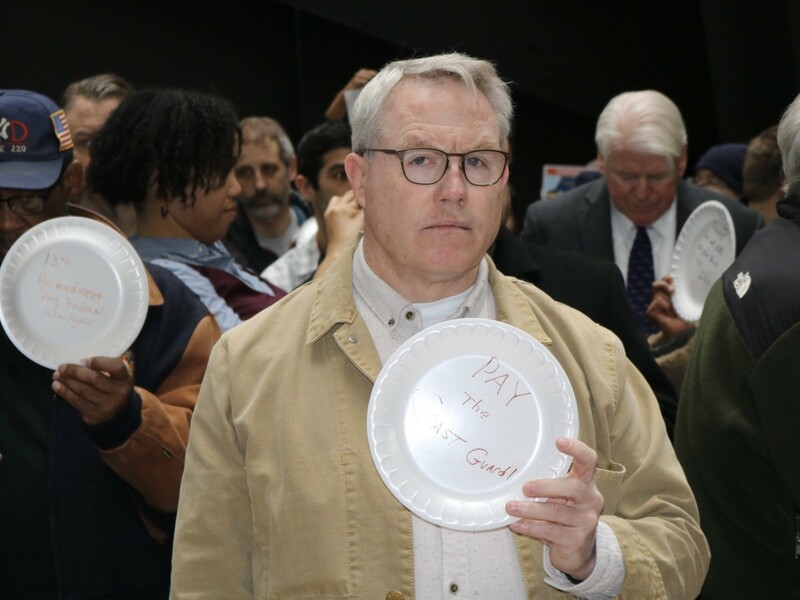 Protesters held disposable plates with hand-written messages on them. 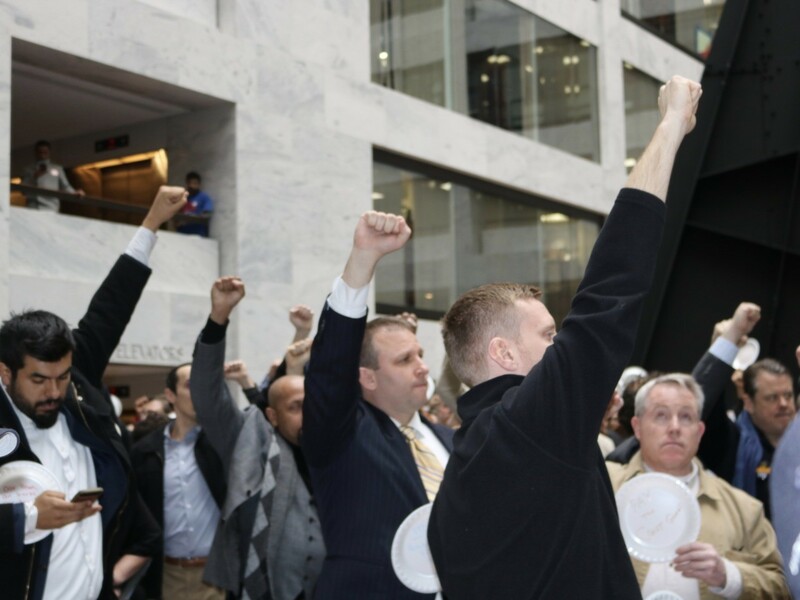 The group organizer instructed protesters to disburse once police asked them to. 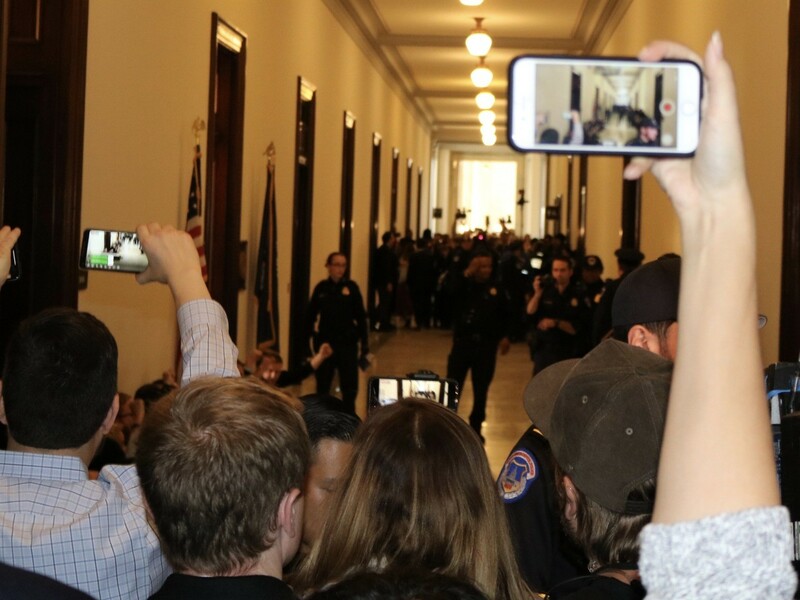 Shortly after the protest chants began, the group quieted and began disbursing. 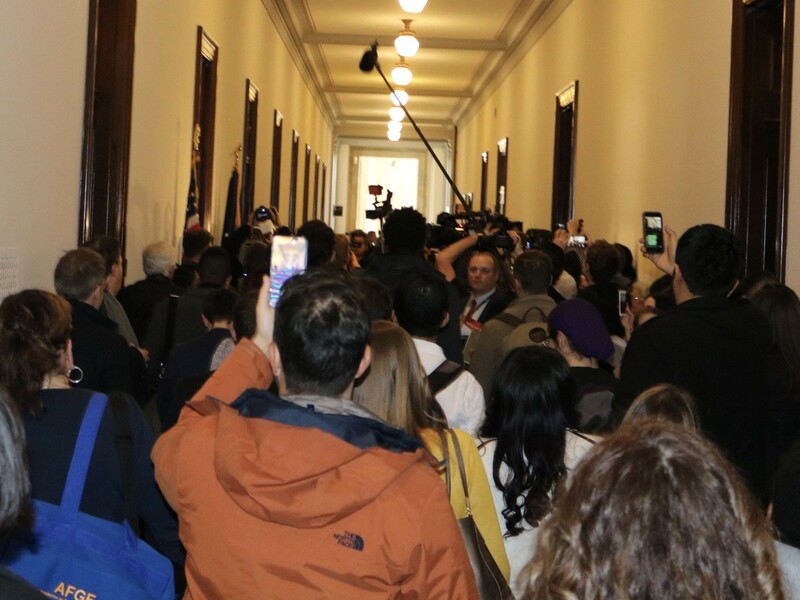 A portion of the group continued on to the Russell Senate building to protest outside Senate Majority Leader Mitch McConnell’s office. Outside McConnell’s office, the group chanted, “end the shutdown,” “do what’s right,” and “where is Mitch.” Breitbart News caught video of protesters chanting and later being arrested outside the office. 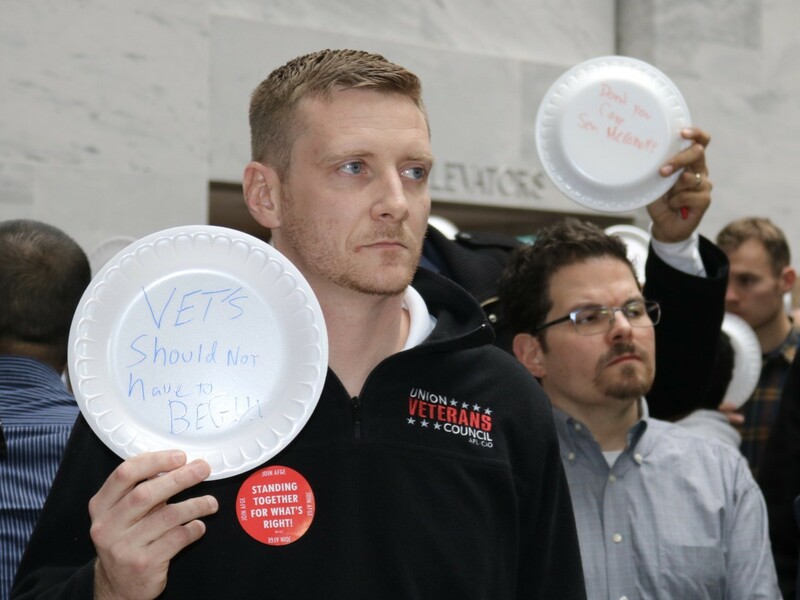 A Capitol police officer later told Breitbart News that 12 protesters he believed to be affiliated with unions were arrested.